Dahuang Zhechong Wan or Da Huang Zhe Chong Wan pills improve blood circulation in the body, eliminate thrombs and prevent the formation of stagnation in the vessels, promote the development of new blood. 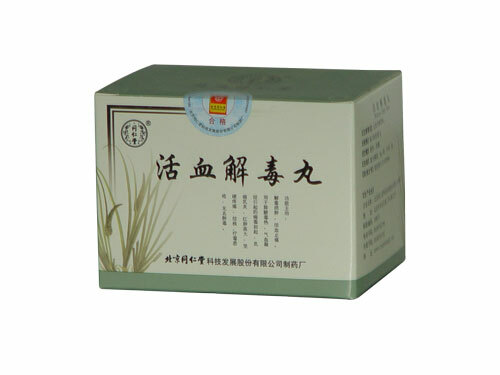 Dahuang Zhechong Wan is effective in the treatment of chronic diseases associated with cardiovascular disorders (hypertension, varicosity, thrombophlebitis), liver diseases (cirrhosis, hepatitis), as well as in traumas accompanied by a large loss of blood, and in the postoperative period. Dahuang Zhechong Wan Ingredients: rhubarb, earth turtle (Chinese cockroach), peach seed, toxicodendron tar, larva of Far Eastern black bush, leech, horsefly, sculpin root, apricot seed, root of rehmania, peony, licorice. Dahuang Zhechong Wan Dosage: Take 3g per time orally, 1-2 times per day.